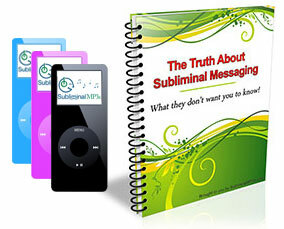 Use our subliminal speed reading program to dramatically enhance your reading rate while retaining what you read. Does your work require you to read and remember the facts from tons of documents? Does your slow reading speed slow you down in your studies? Would you like to be able to stay knowledgeable in a very competitive industry or at school with plenty of time to spare? Speed reading is a skill that enables you to read faster, without losing any comprehension of the material that you read. Think about how much reading you do every day: the newspapers, emails, books, reports, proposals, periodicals... You probably spend a lot of your time in reading, and you're not even aware of it. If your work is related to reading and retaining the facts of what you've read, how often does it happen that you have to go over them again and again because you lost concentration? How would you like to change that? Speed reading is an easy skill to learn, it just takes time and patience - an it's obviously a useful skill; our subliminal mp3s can help you to master it and to cut your learning curve in half. They give an internal, subconscious support to your conscious learning efforts so that you internalize the new knowledge better and faster. They will de-clutter and clear your mind and help you focus much better, so that you're able to process information faster and learn faster. You will also remember information much more accurately. It isn't just like skim reading where you remember some information, you will actually remember everything you have read. This in turn will improve your memory in all areas of your life, and your general intelligence too. Speed reading will give you so many advantages in life besides just being able to read quick. You will learn at a faster rate and you'll gain the advantage over your classmates / colleagues who have to study for hours to devour the same amount of information. Get started straight away with this unique speed reading program and enhance your mind to its full potential!